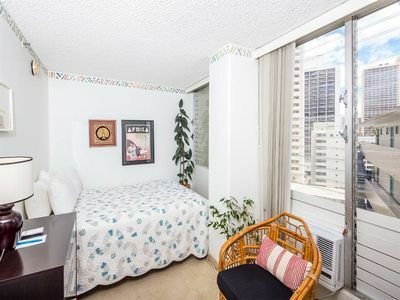 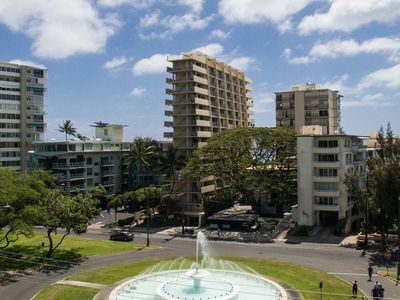 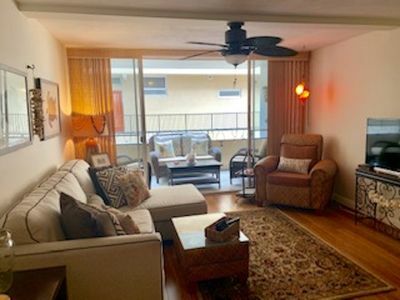 Waikiki Shore one bedroom upgraded condo with full kitchen overlooking Fort DeRussy park and famous Waikiki Beach. 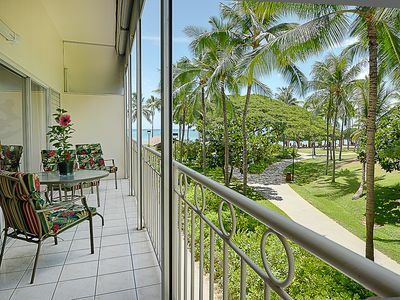 Walk outside to the sandy beach or to many nearby shops and restaurants nearby. 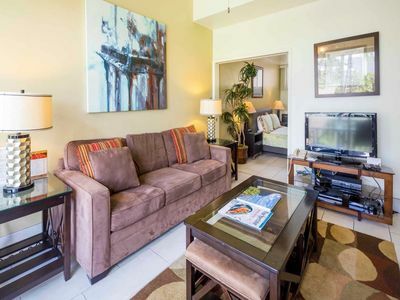 Enjoy the extra large lanai where you can even watch fireworks on Friday nights. 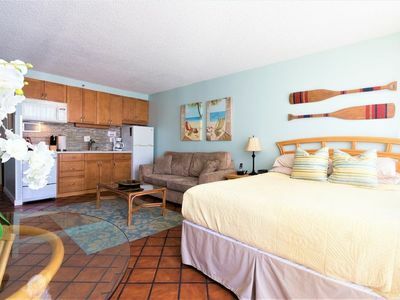 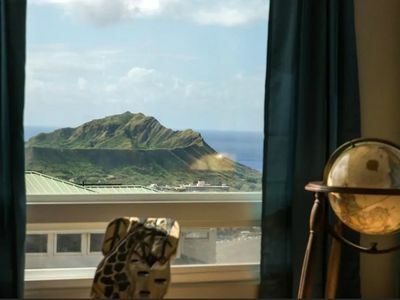 Well maintained accommodations with Hawaiian furniture and décor, wifi, free phone calls to Canada and the U.S., private assigned parking at no charge, and reasonable year around prices. 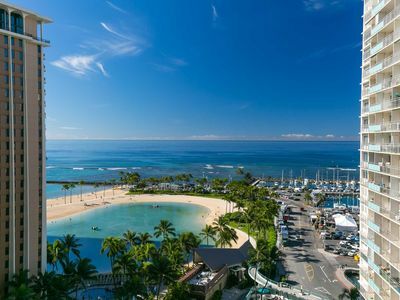 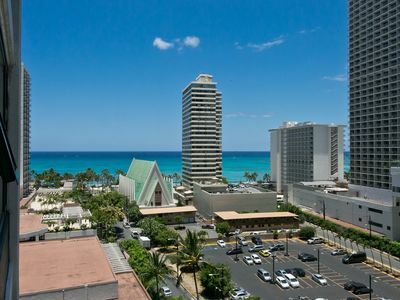 The Waikiki Shore building is the only condominium building on Waikiki Beach and sits between the Outrigger Reef Hotel and DeRussy Park. 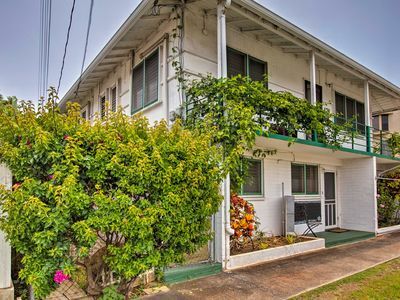 It is a fantastic location and perfect for 2 adults who want privacy or for a family of four. 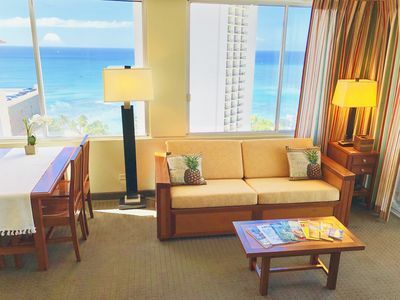 Guests can use the pool and fitness center at Outrigger Reef Hotel next door. 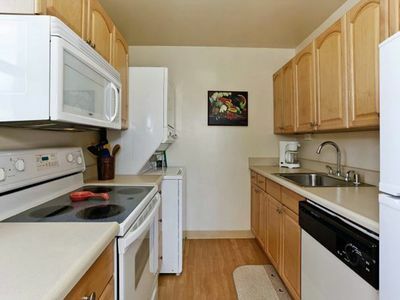 A full kitchen allows you to dine in or out. 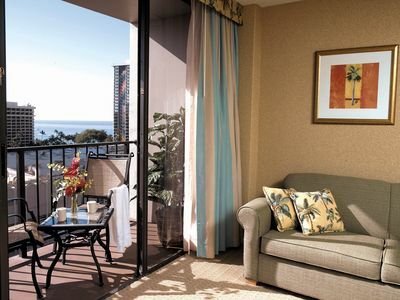 Manicures and pedicures, souvenirs, catamaran cruises and more are available right downstairs and next door. 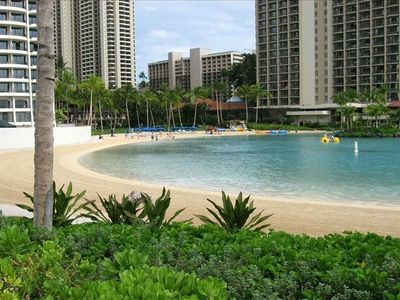 Fireworks are displayed every Friday night just down the beach. 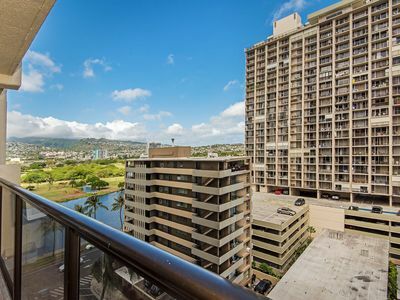 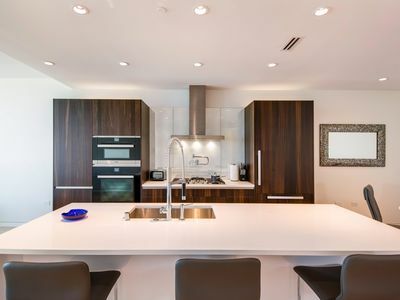 Beautiful Renovated Condo In The Heart Of Waikiki. 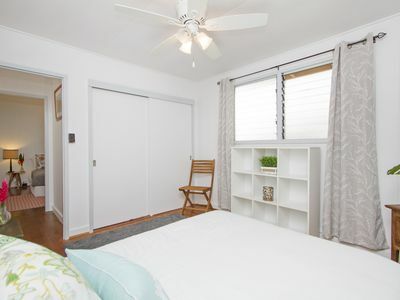 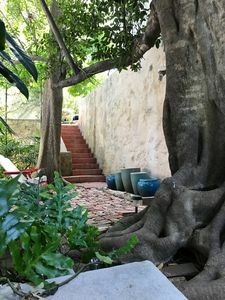 Cozy Studio Steps From The Beach! 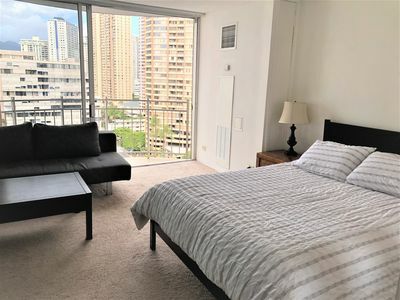 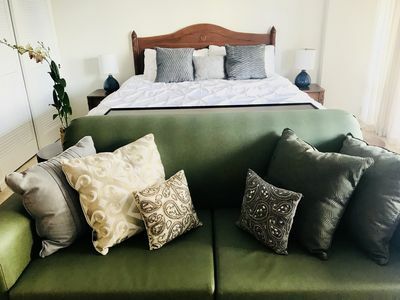 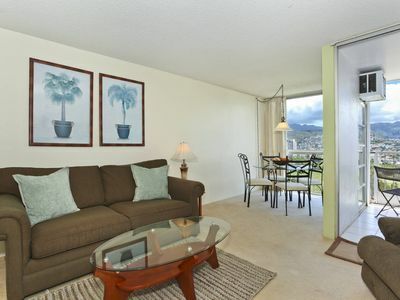 Ilikai Marina/ Upgraded unit/ Sofa couch/ Perfect location!